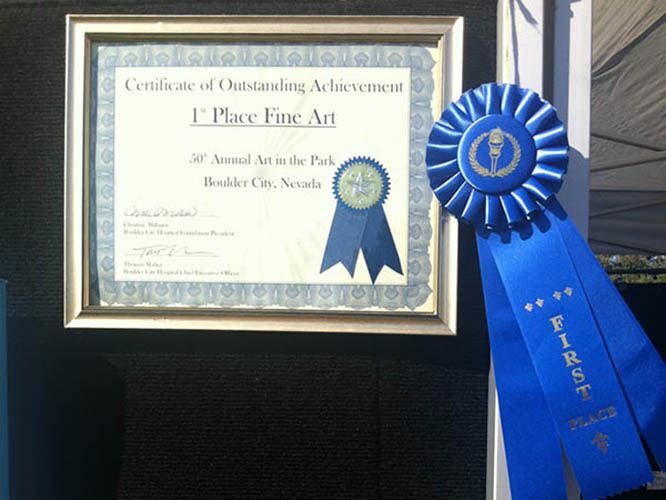 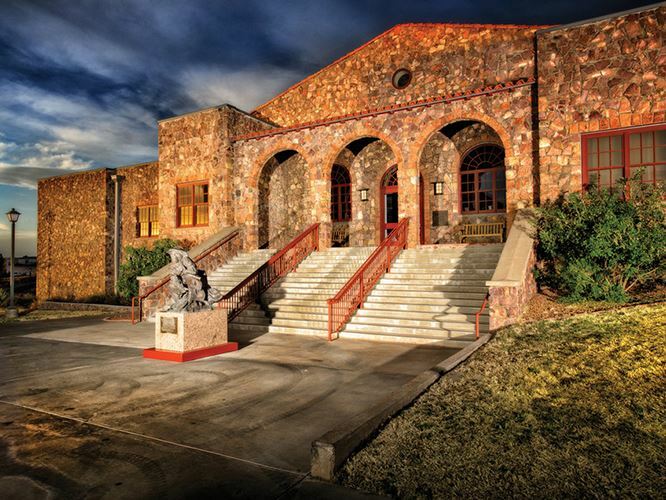 In mid-September, there was a buzz around the Museum of the Big Bend in Alpine, TX. 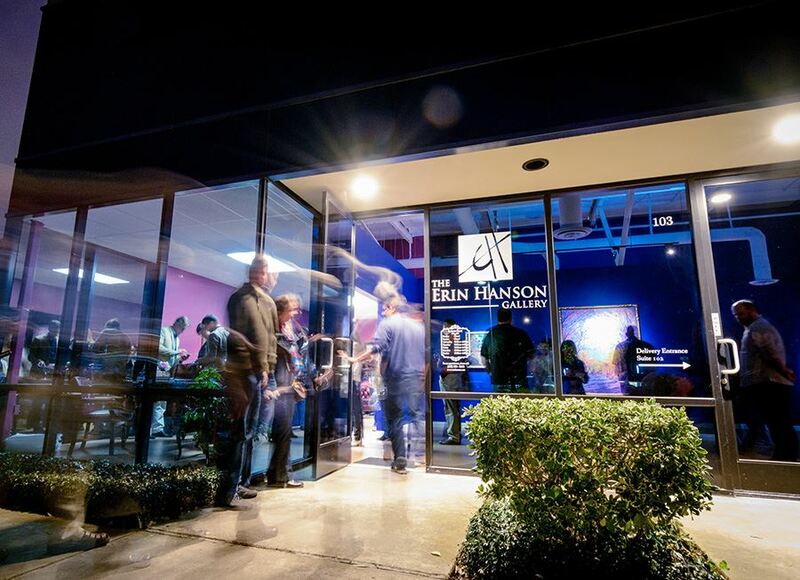 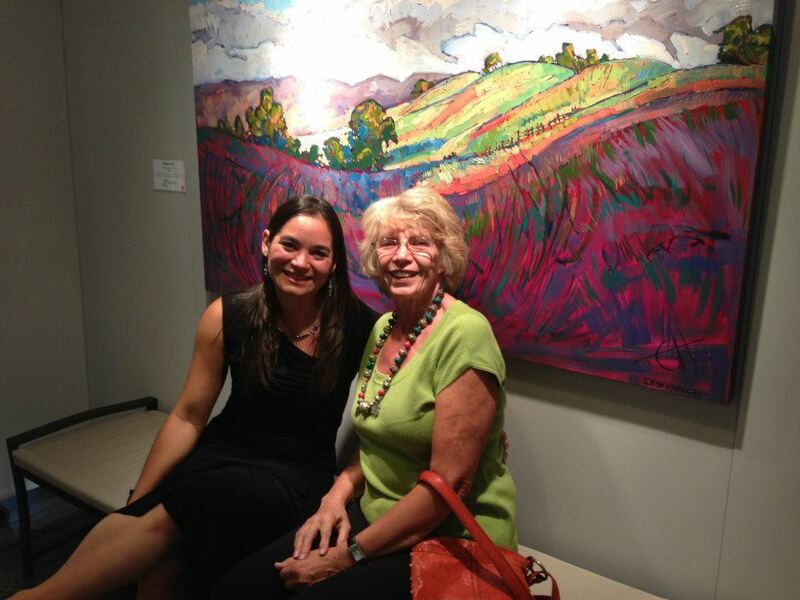 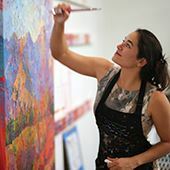 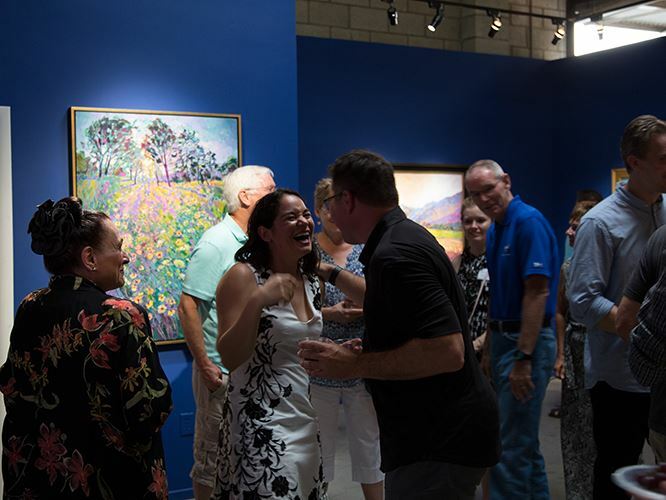 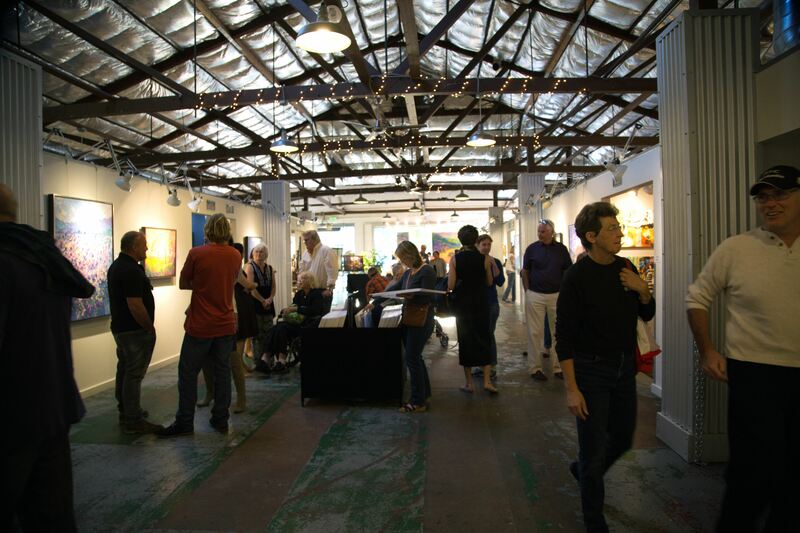 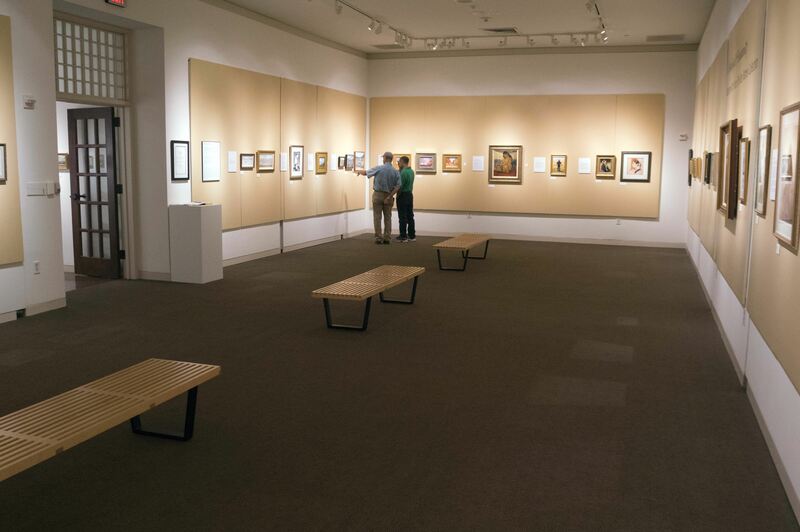 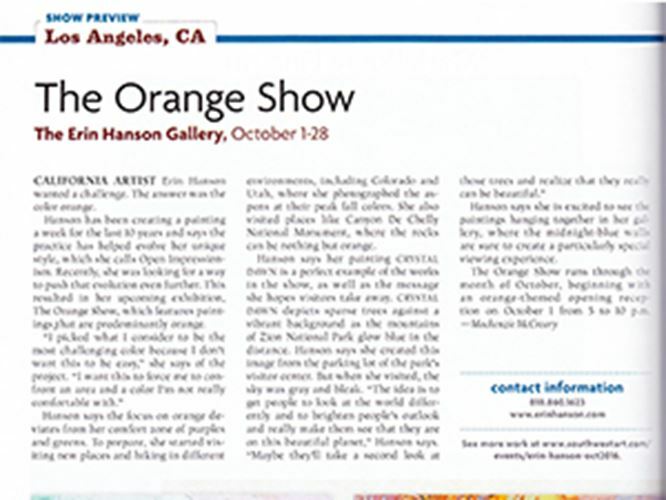 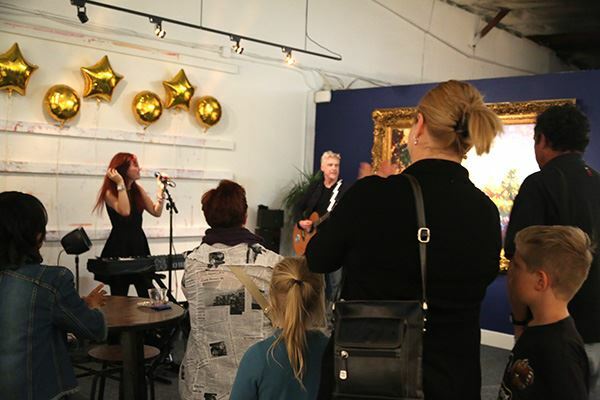 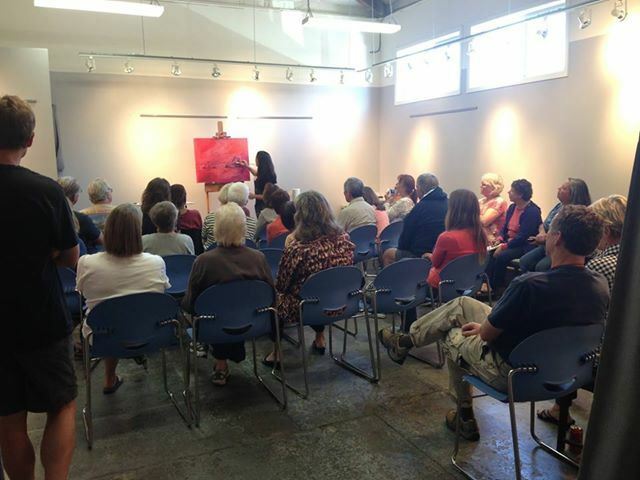 A new exhibition was going up, the artist was due to arrive for a presentation and lecture, and patrons were excited to meet her and enjoy the sixteen-piece collection. 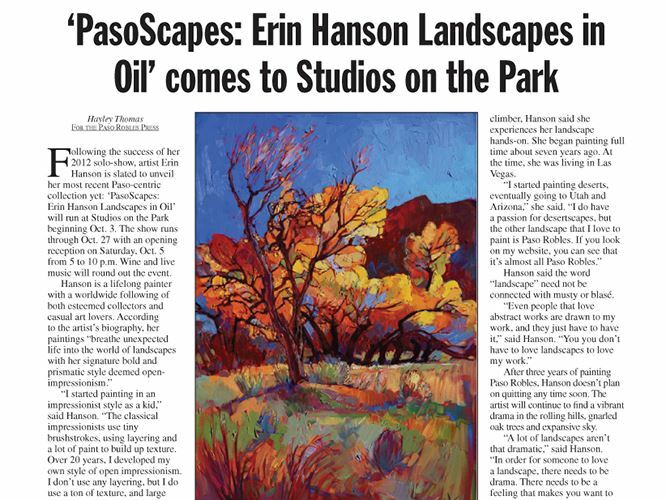 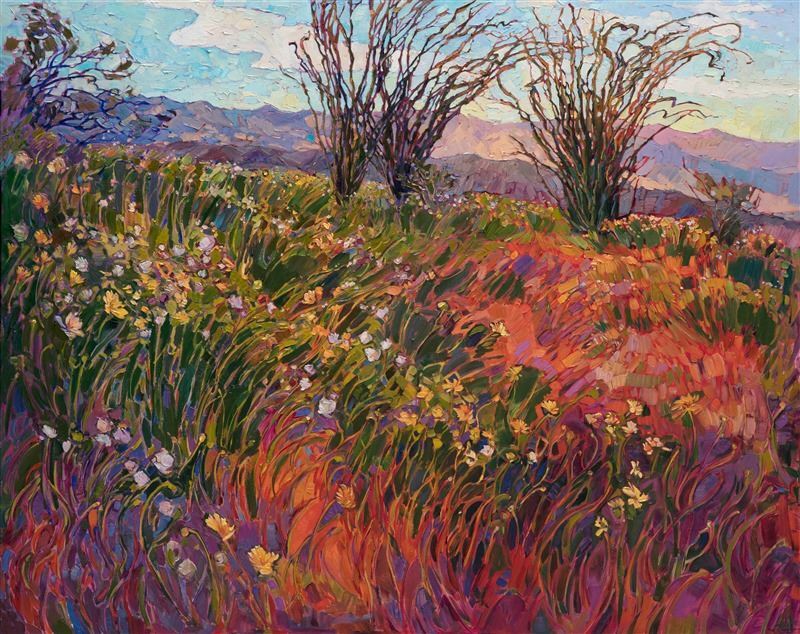 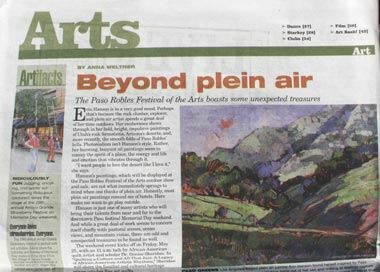 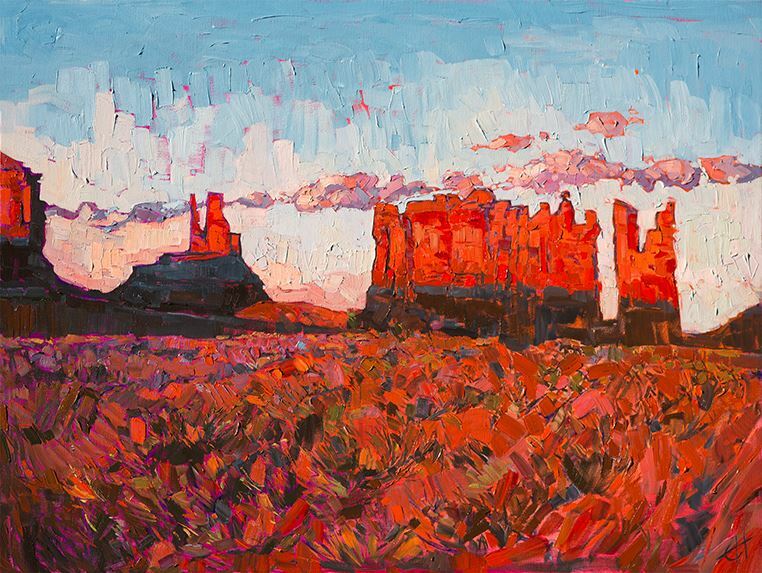 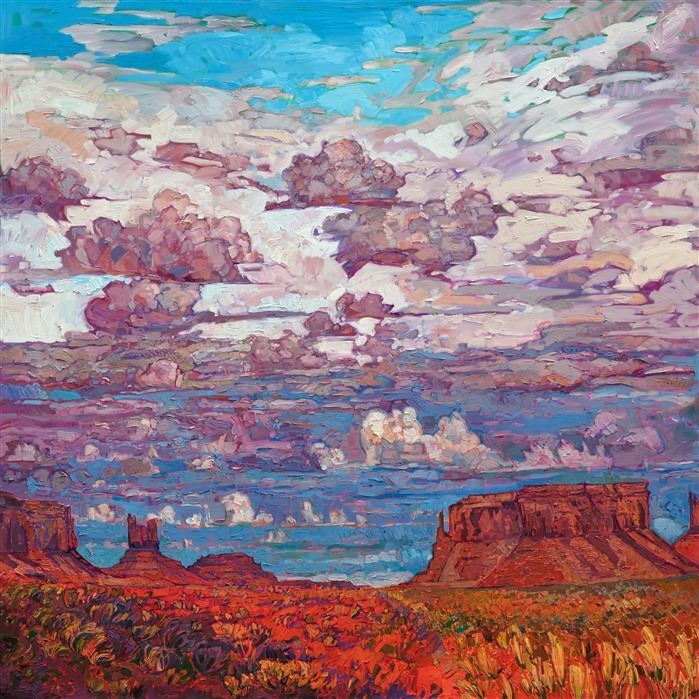 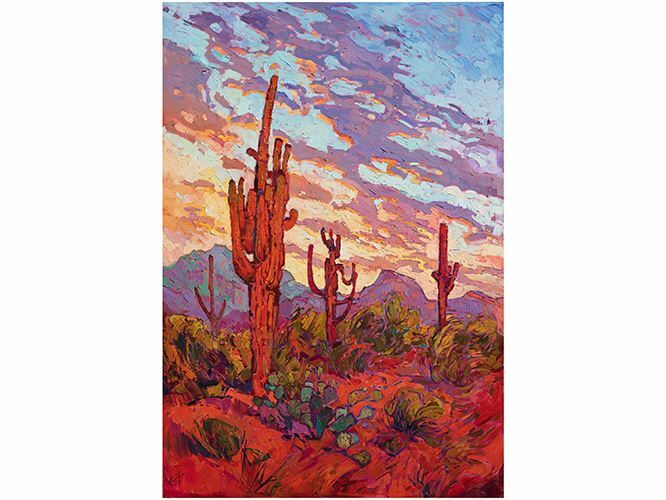 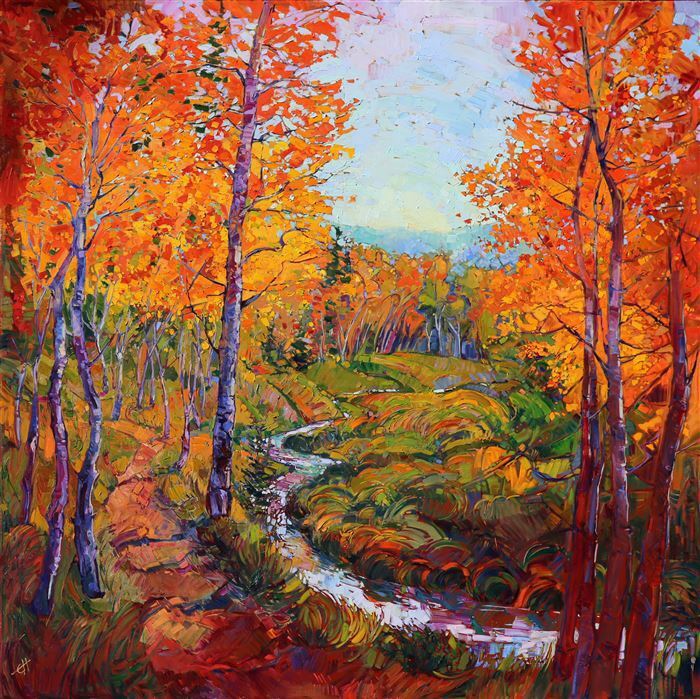 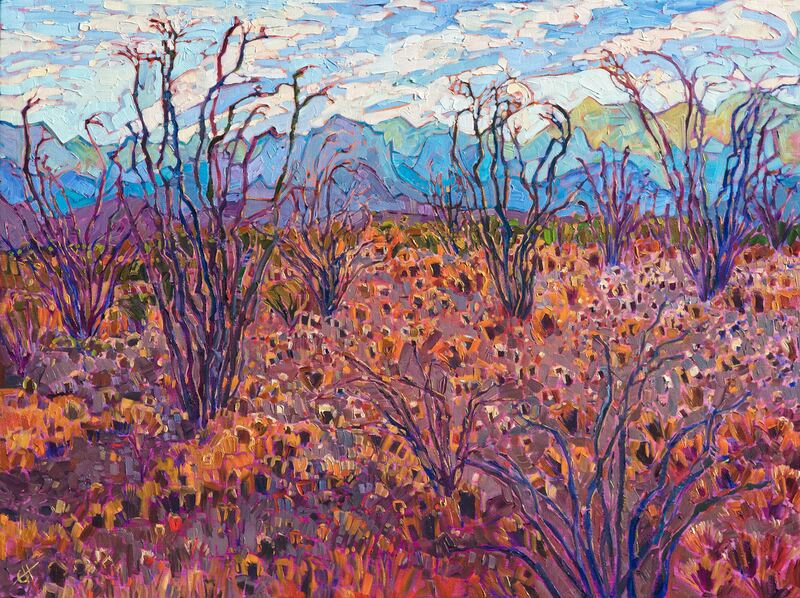 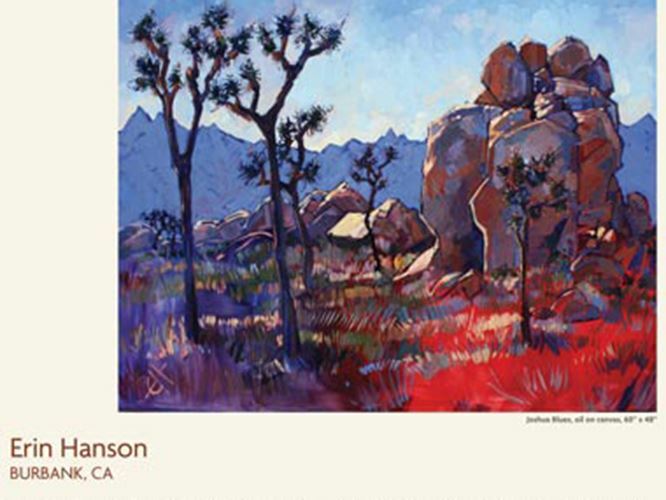 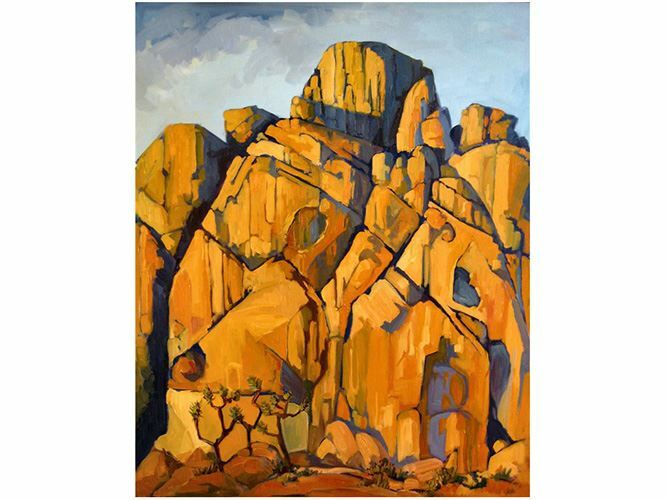 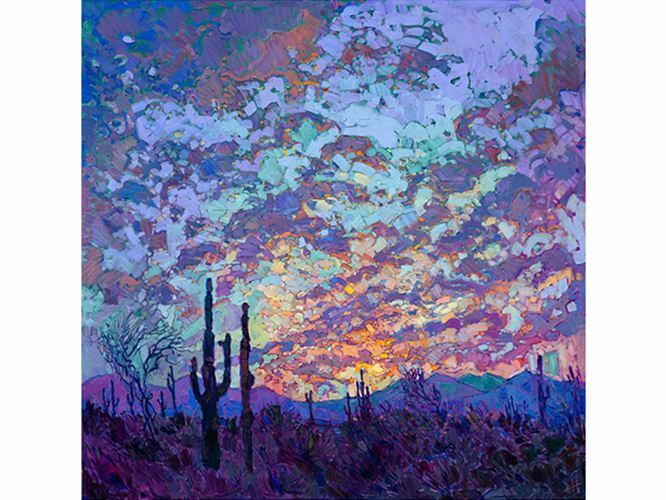 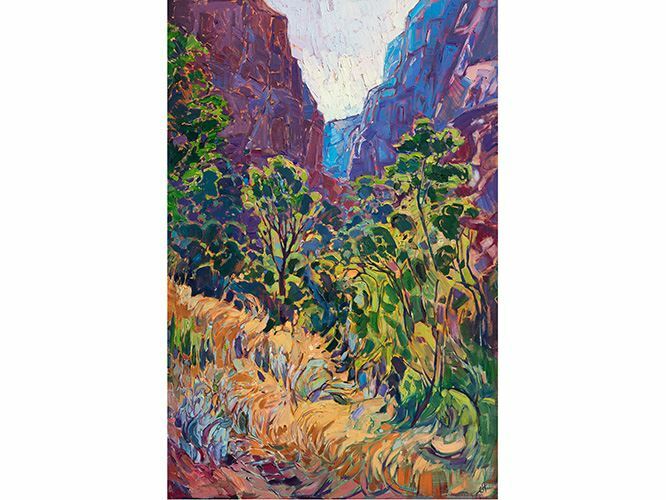 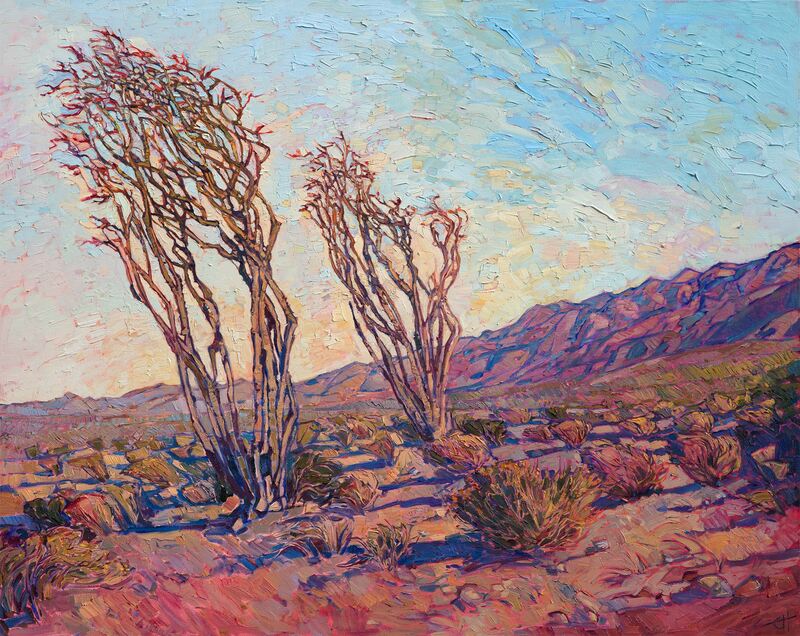 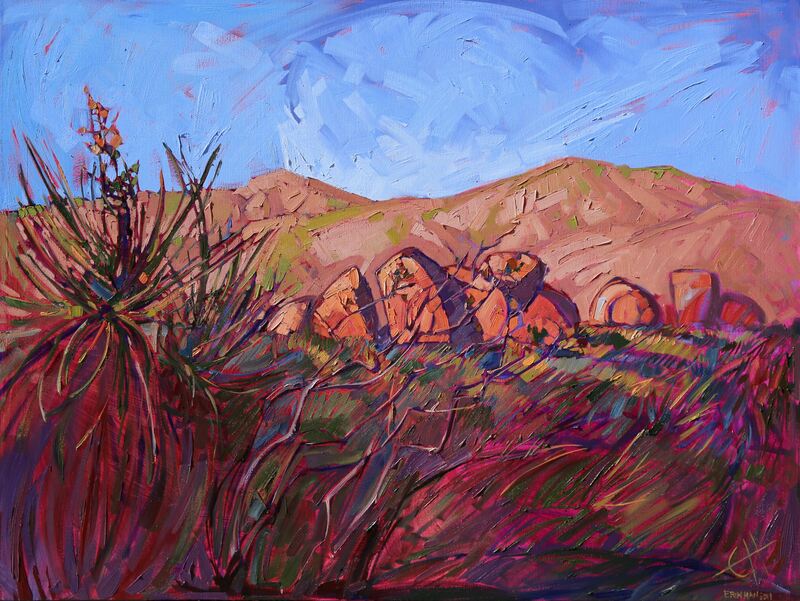 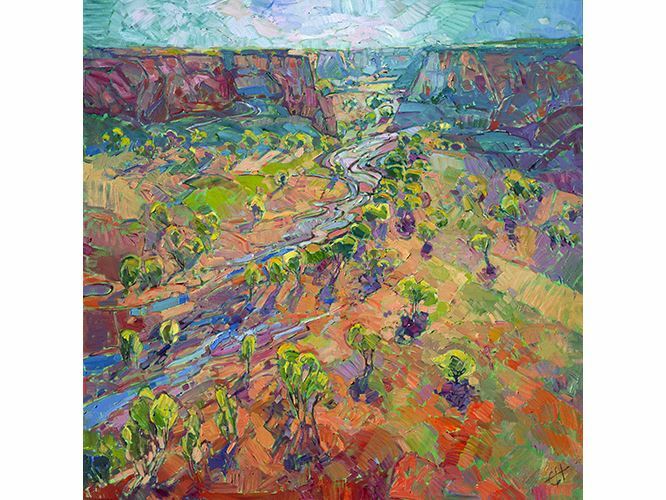 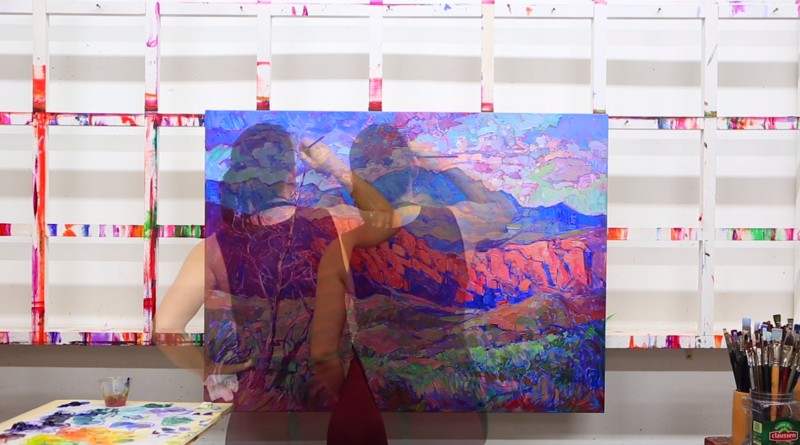 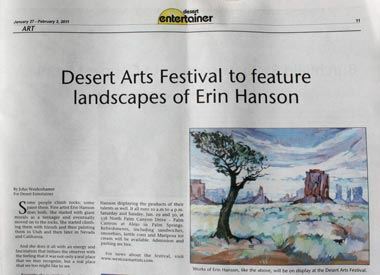 The series takes Hanson back to her western roots as she shares her time hiking in Texas’ Big Bend National Park through her vivid and colorful paintings. 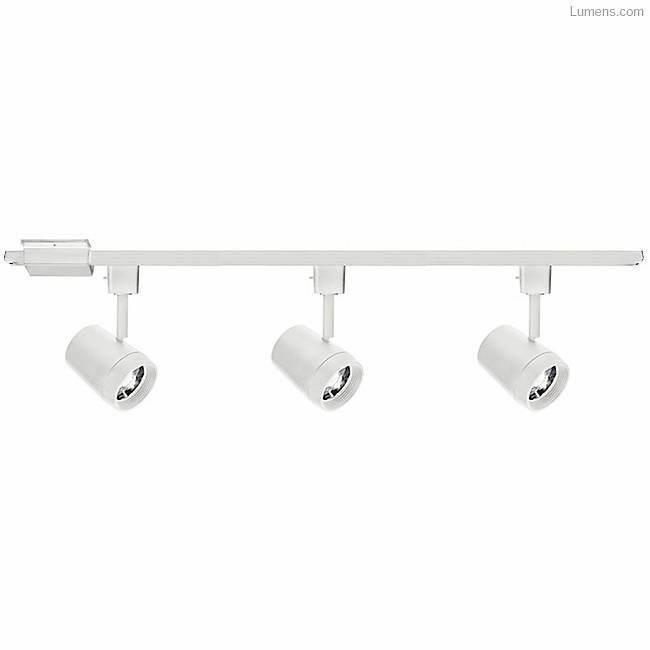 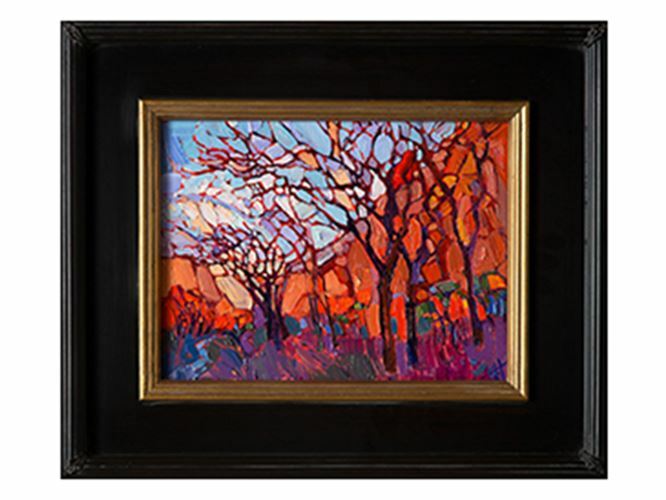 Displaying your favorite pieces when you are hosting your friends or family in your home can become a large part of your impromptu gathering or scheduled dinner party. 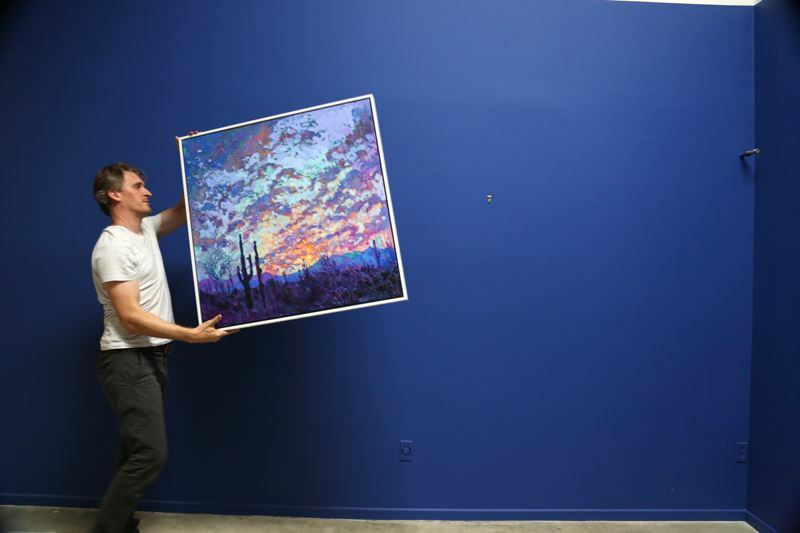 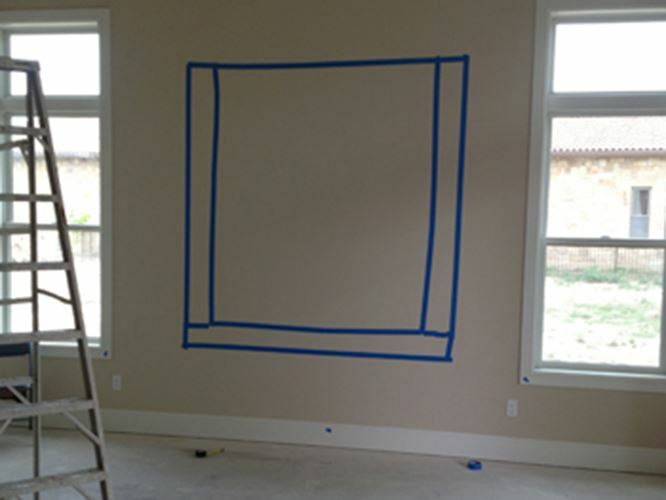 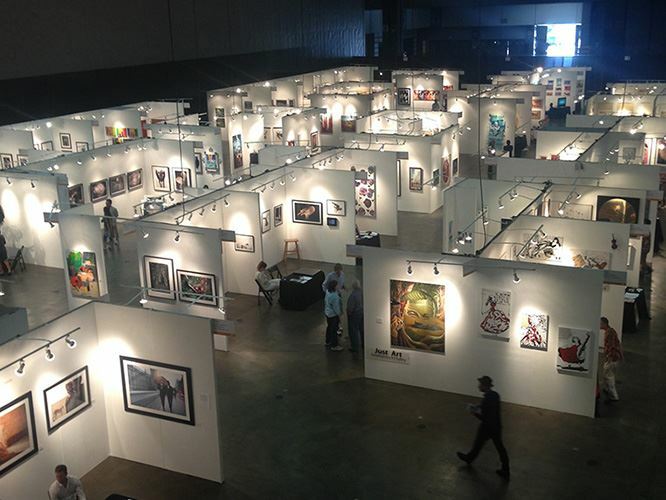 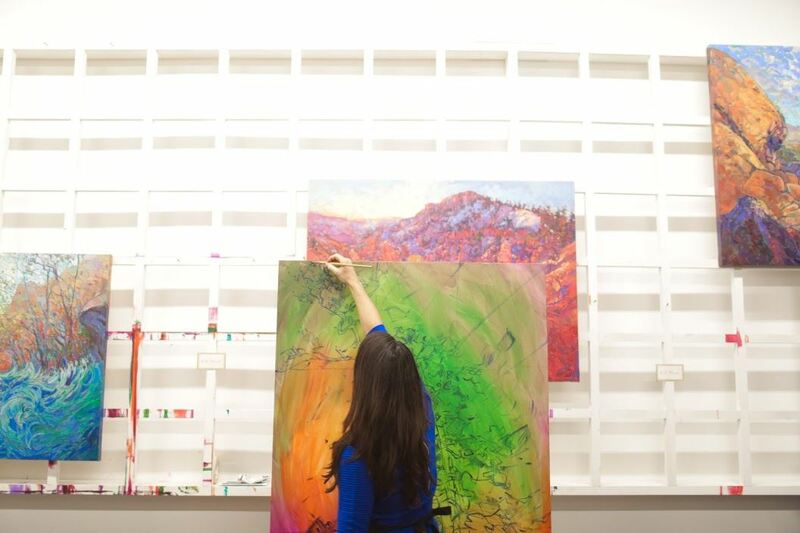 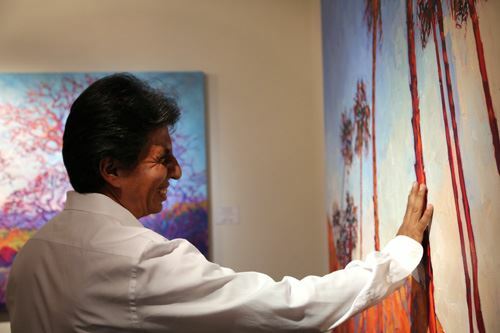 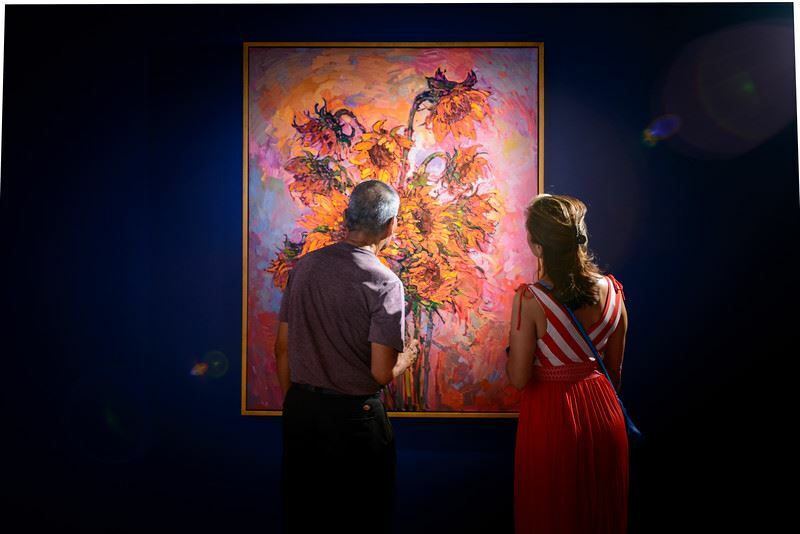 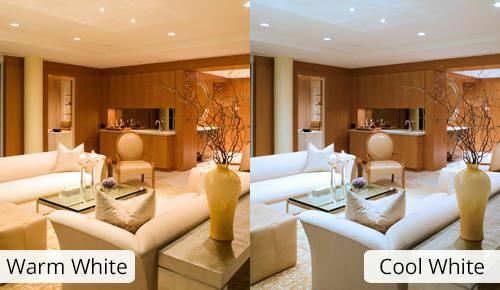 Many art collectors curate their pieces, displaying them throughout their homes in the spots that provide the highest impact and which allow them to see pieces as they get ready for work in the morning or relax at home after supper. 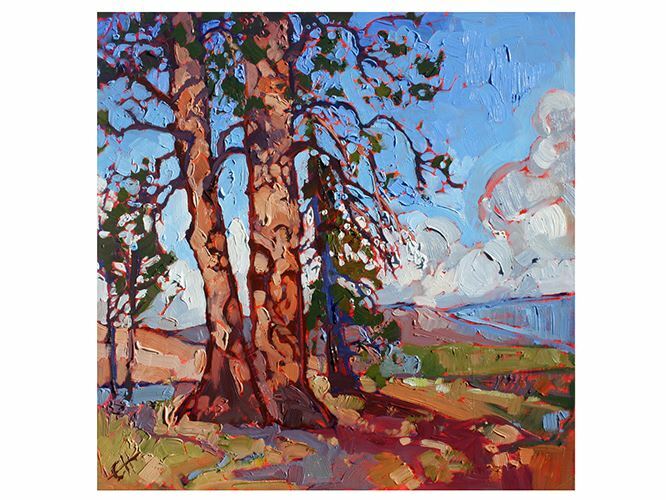 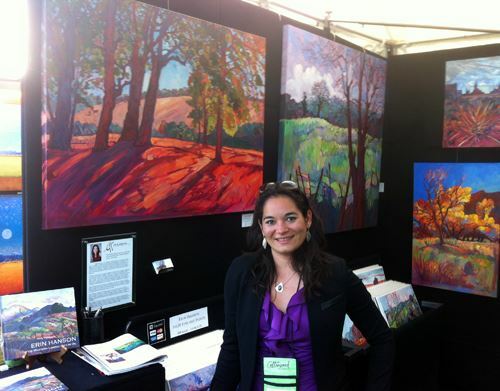 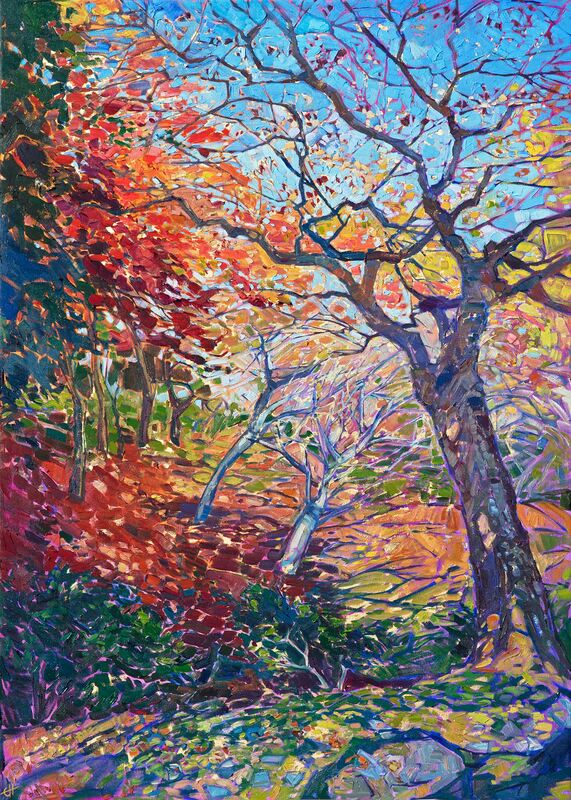 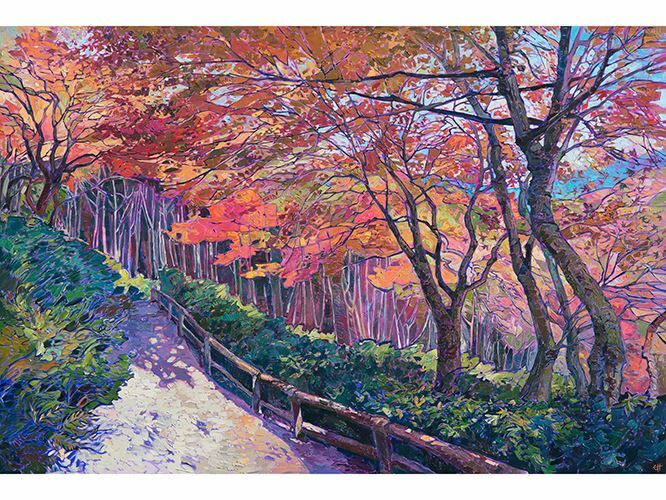 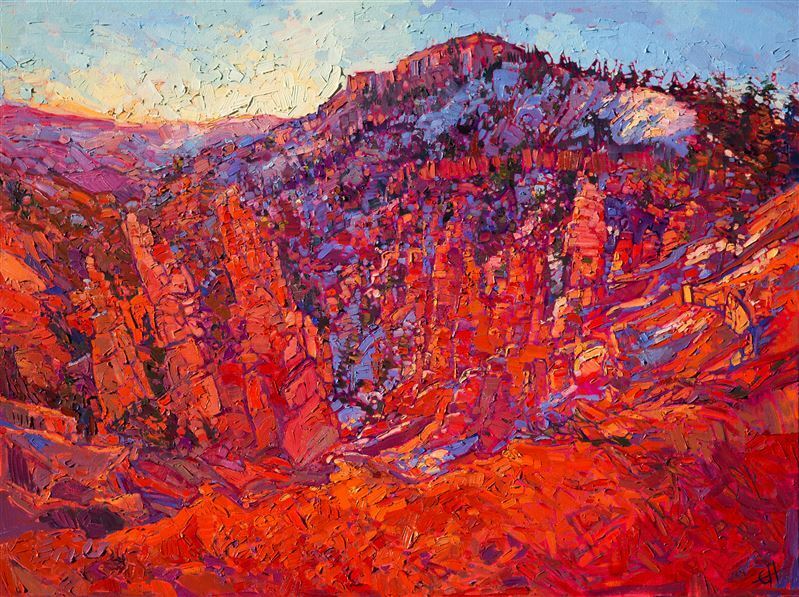 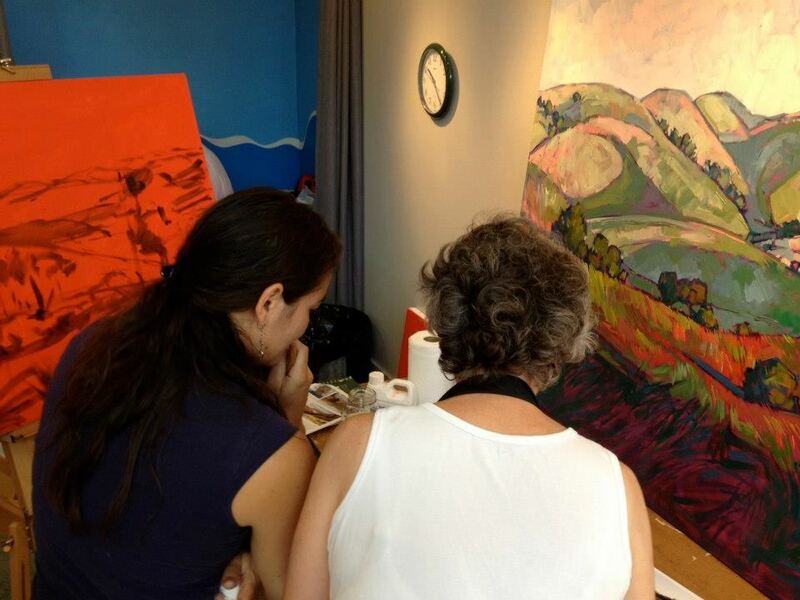 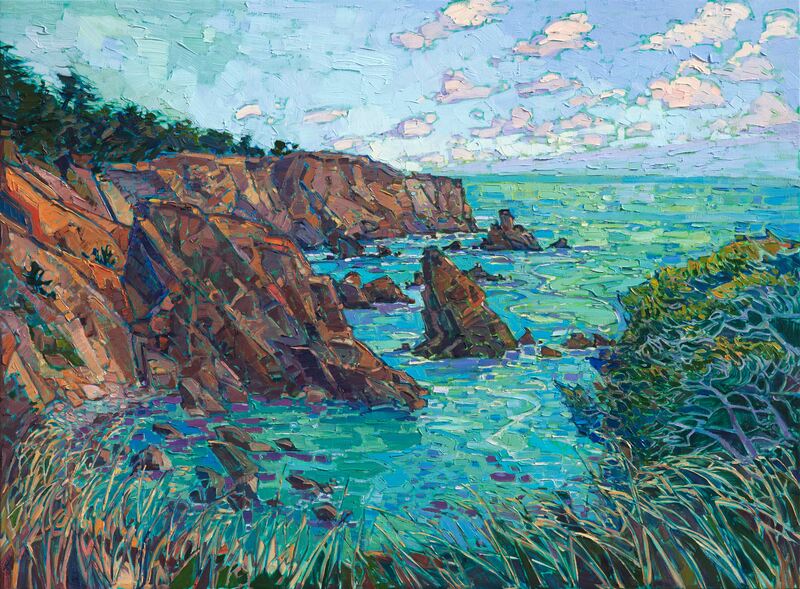 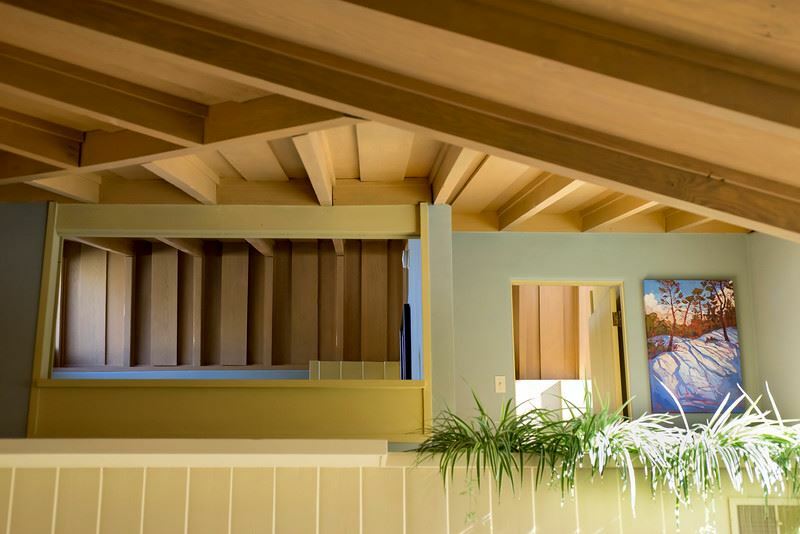 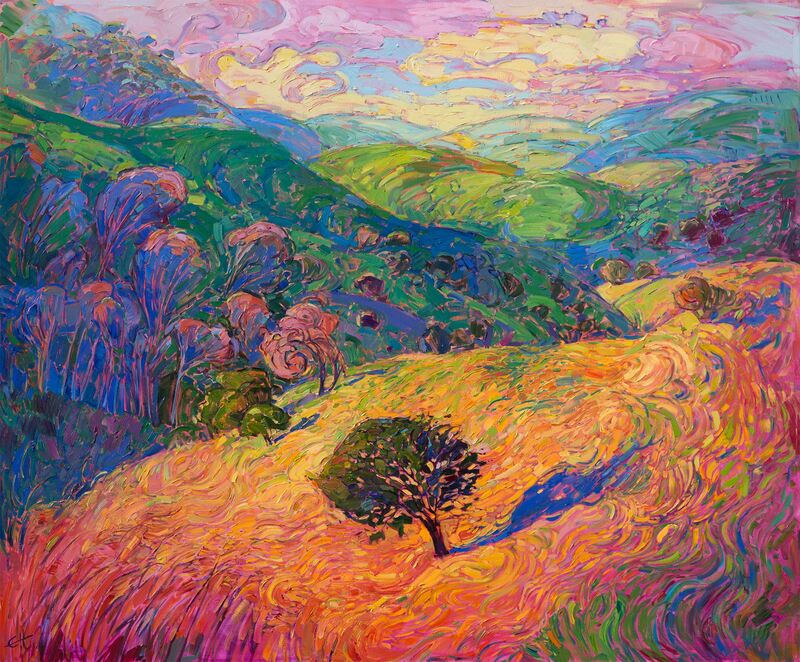 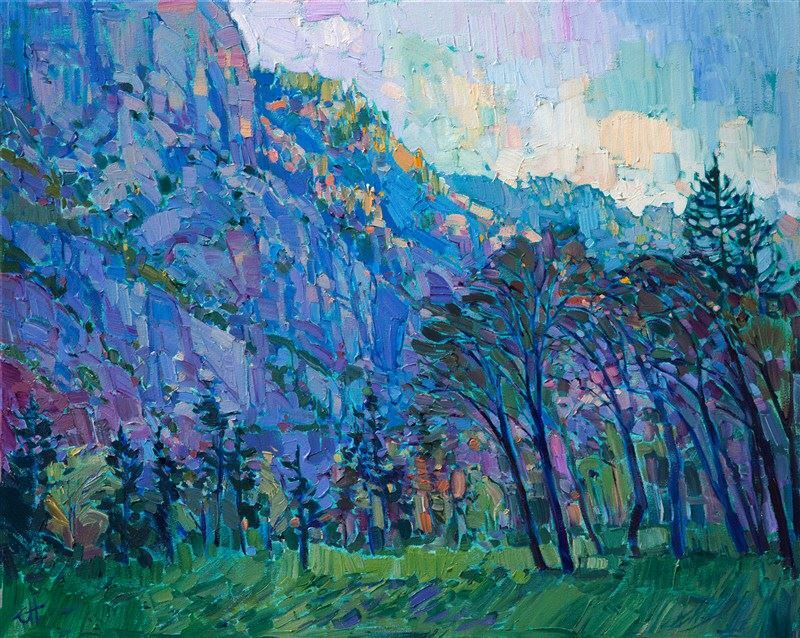 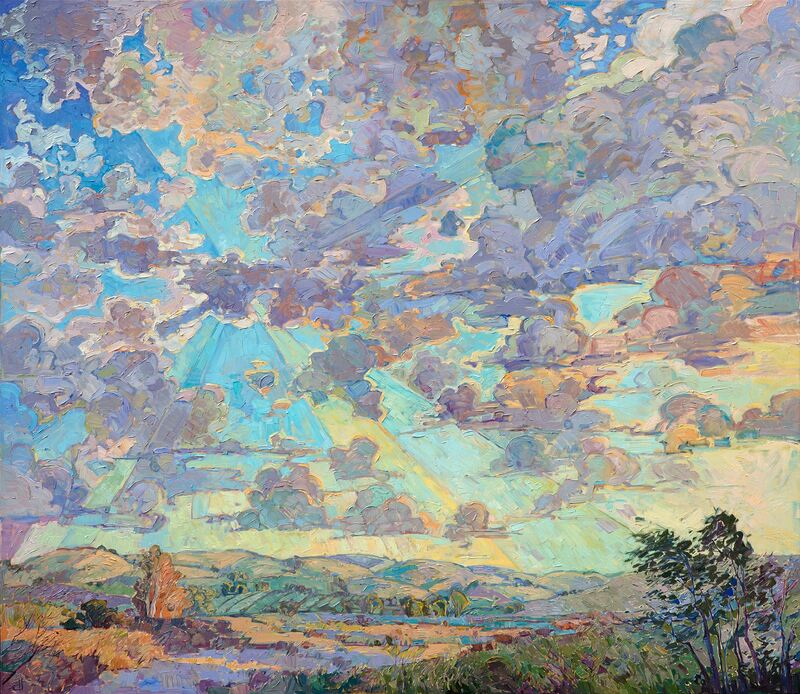 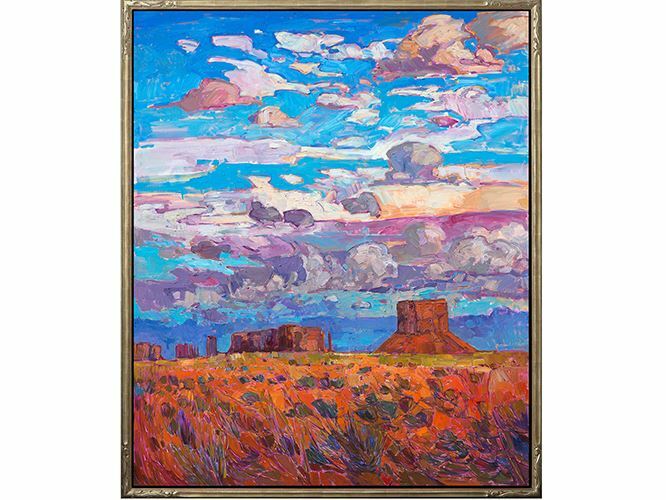 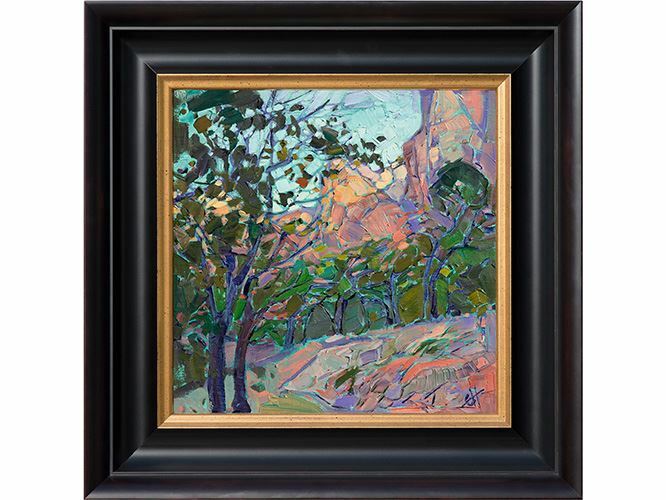 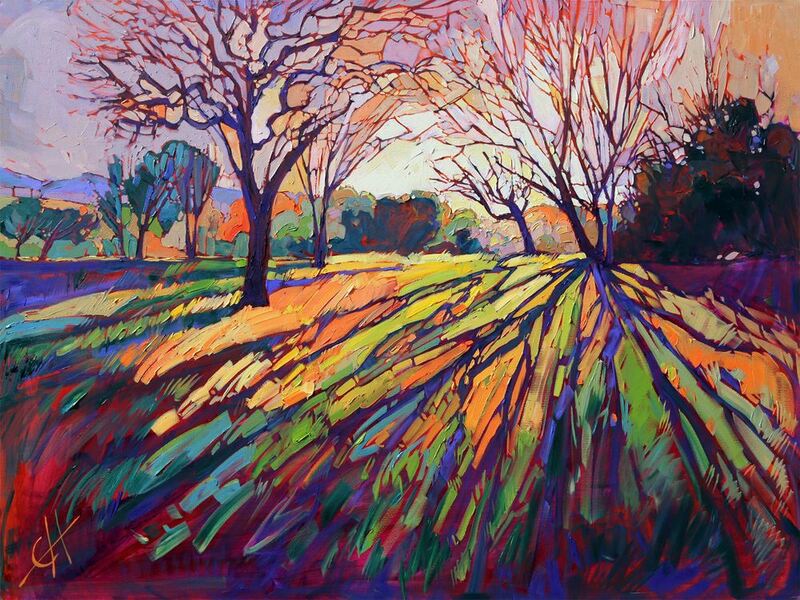 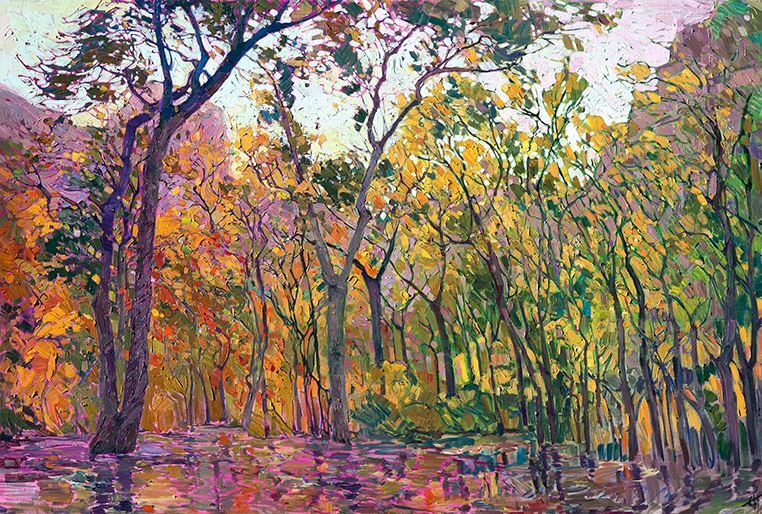 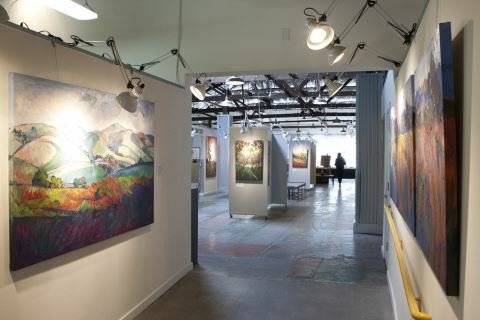 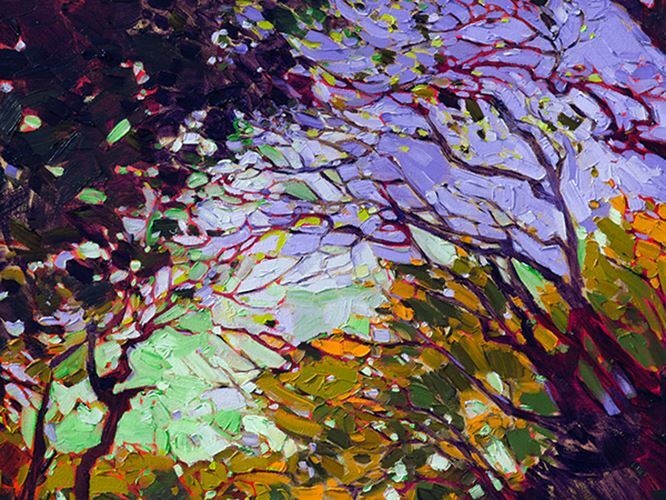 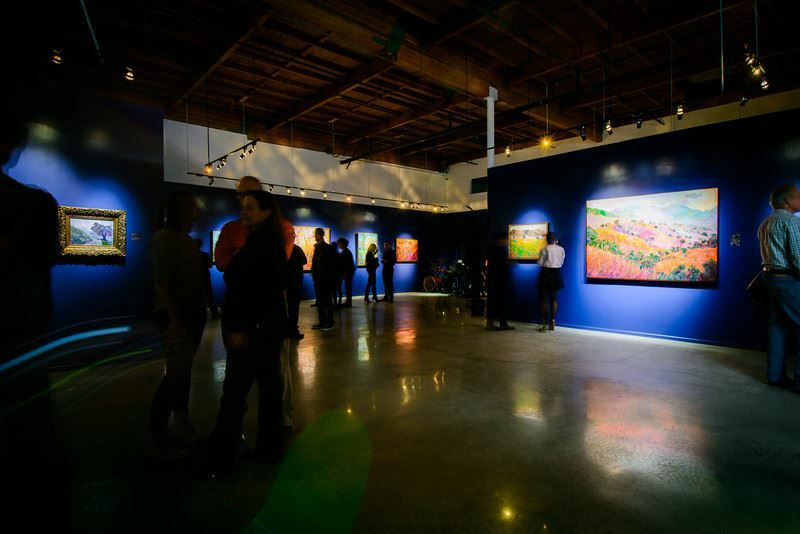 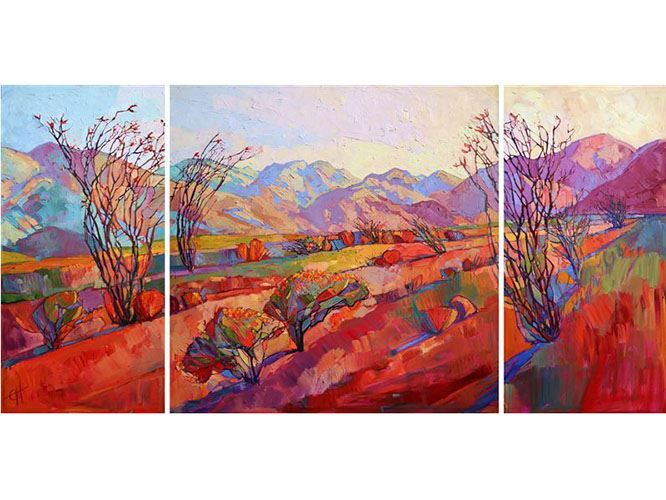 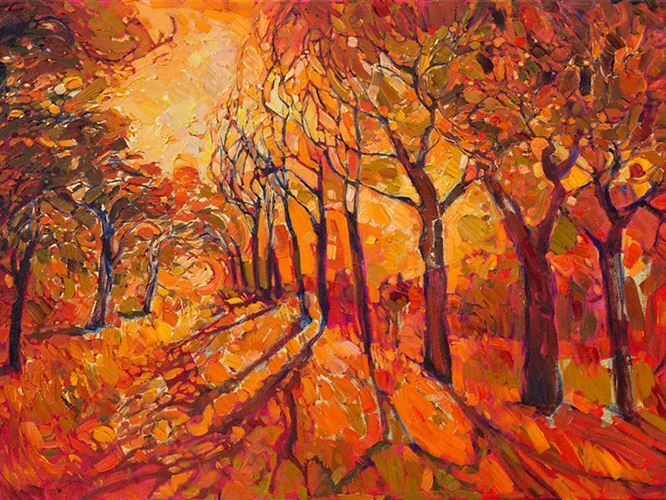 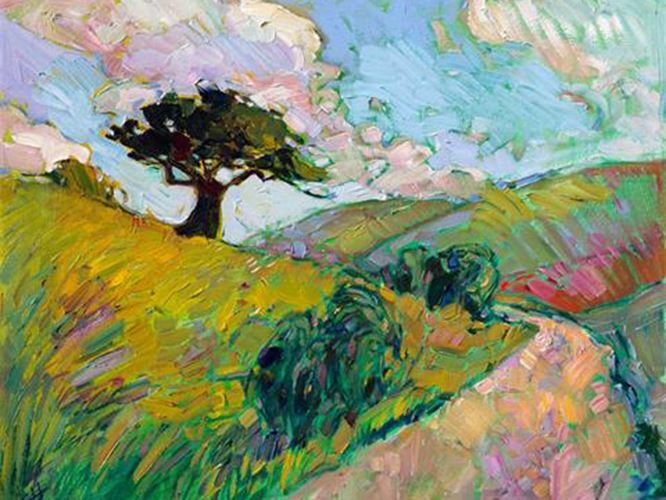 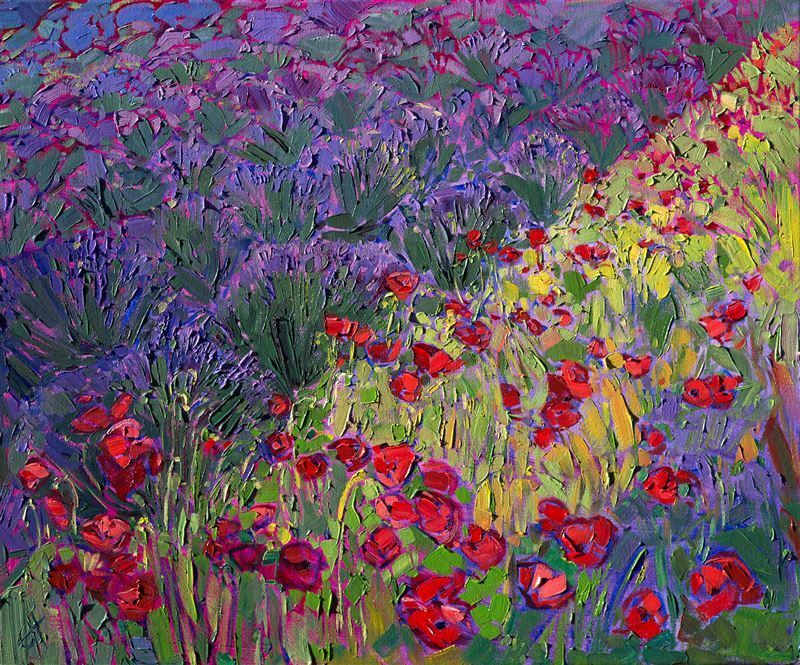 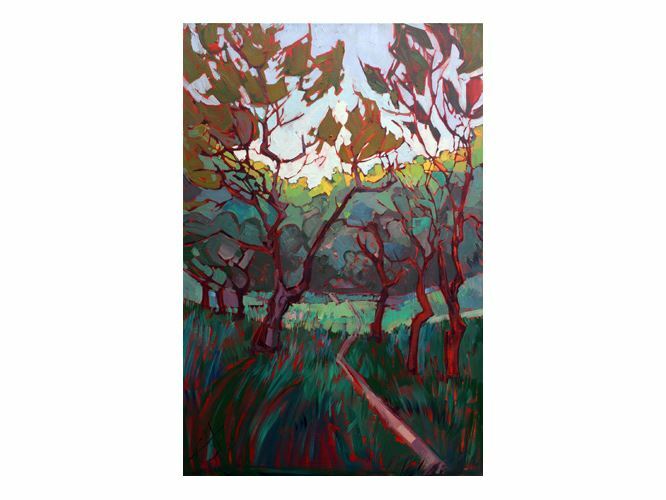 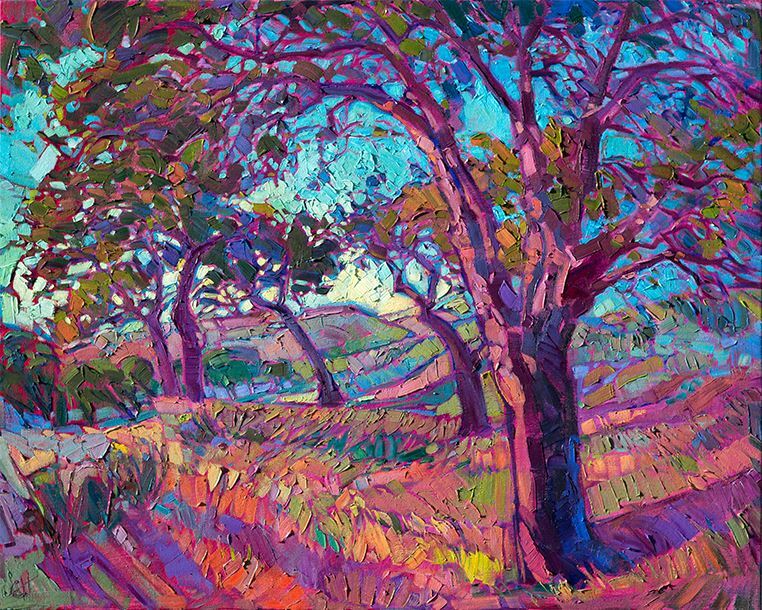 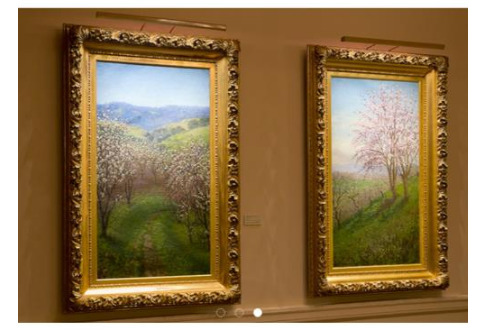 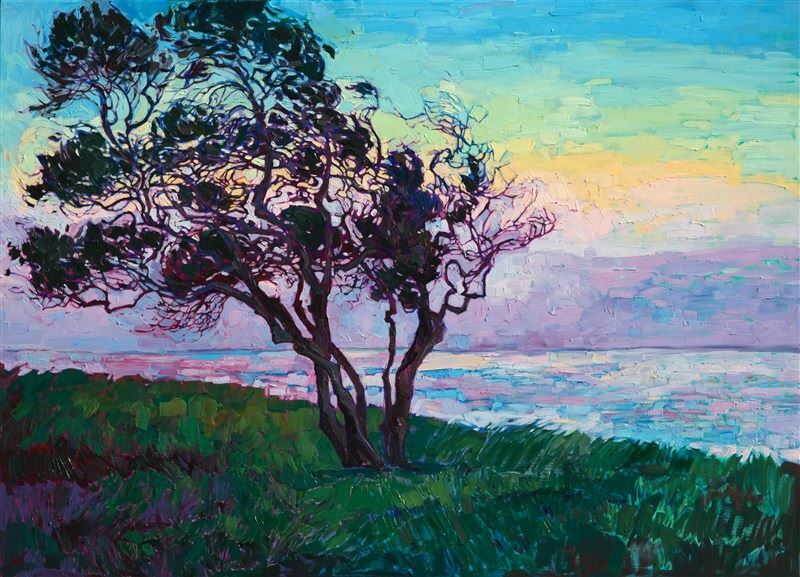 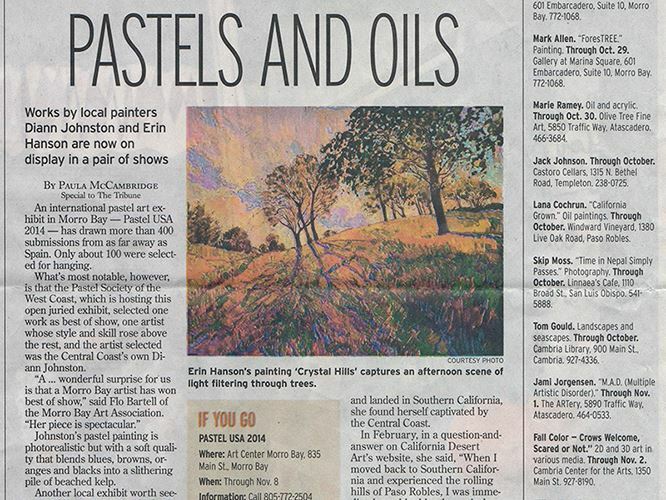 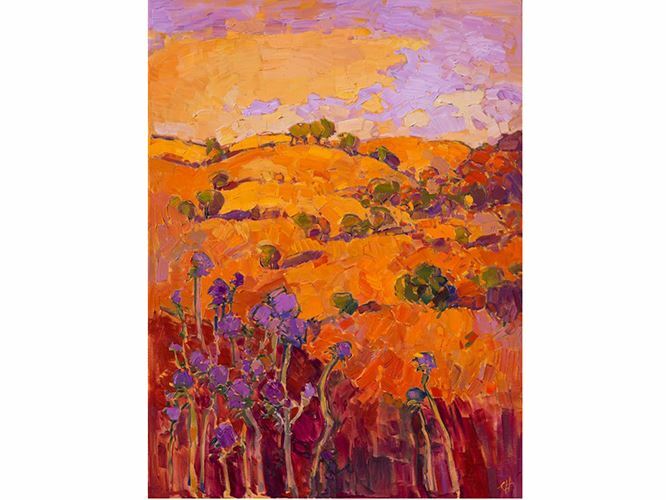 The Allegretto Vineyard Resort currently houses eleven orignal oil paintings by California impressionist Erin Hanson. 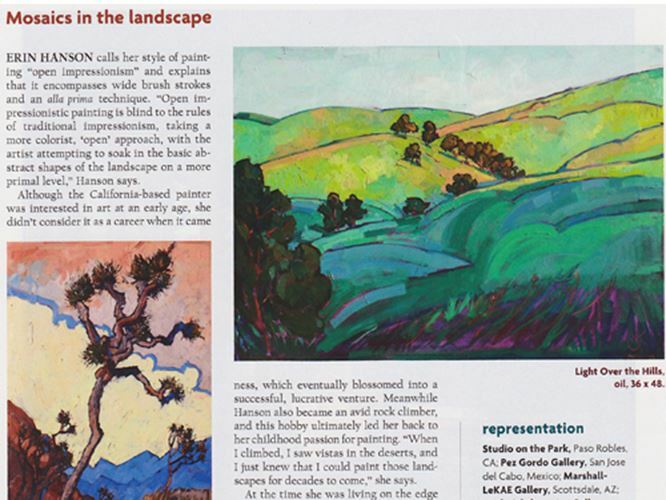 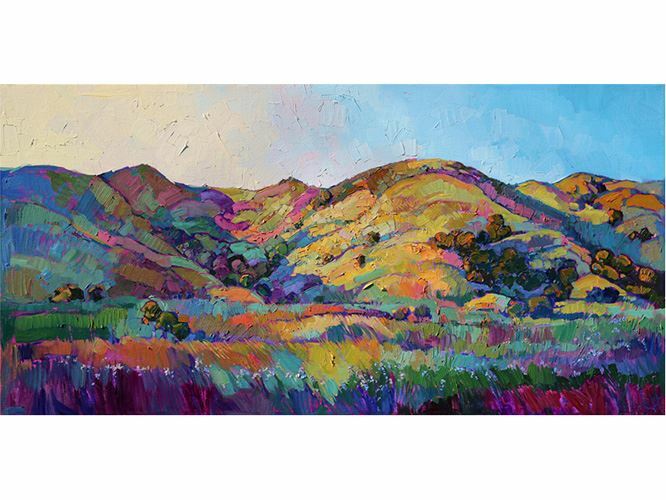 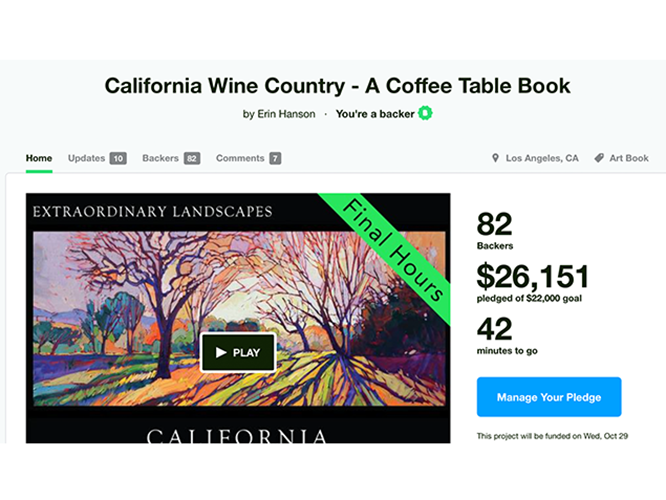 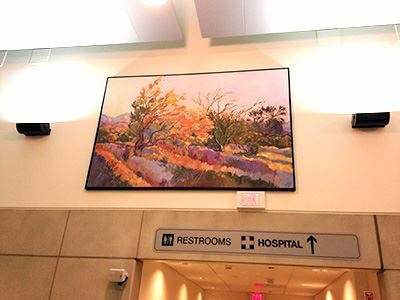 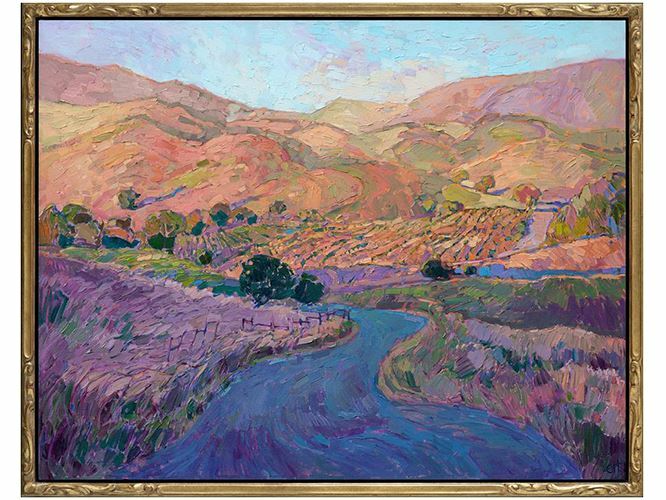 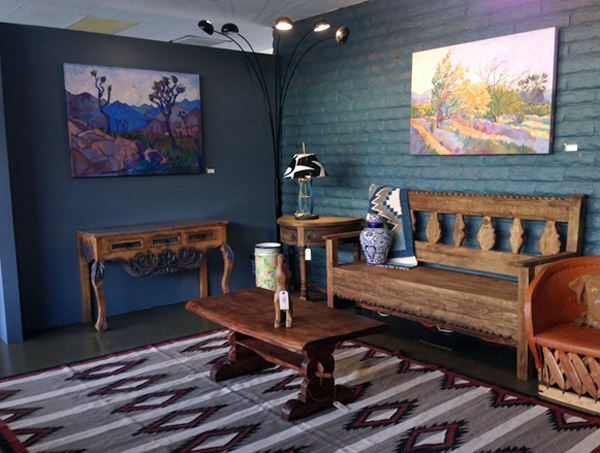 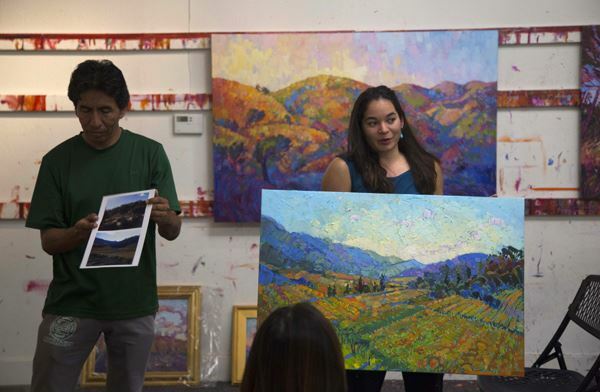 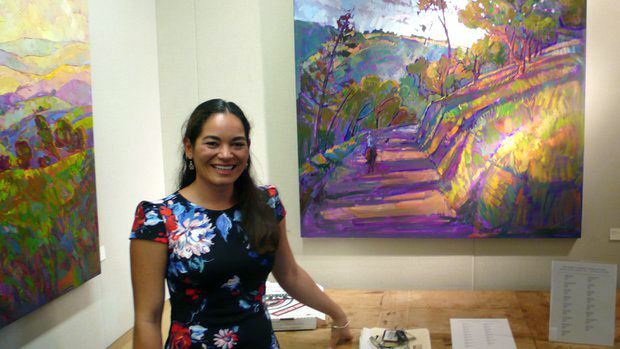 This California collection features paintings of Paso Robles’s iconic rolling hills, local wildflowers, and purple jacarandas. 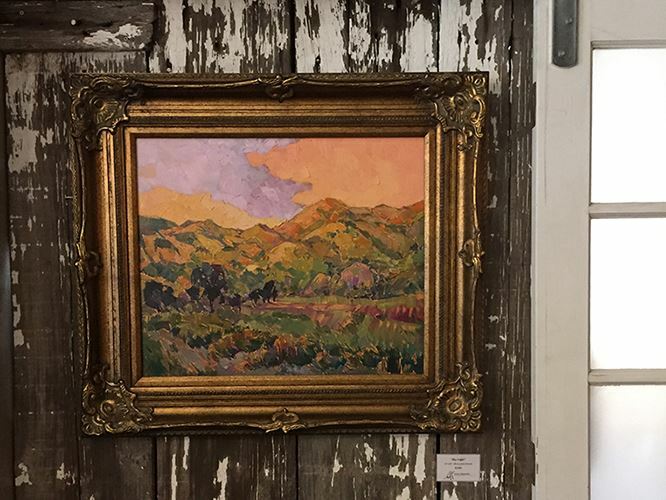 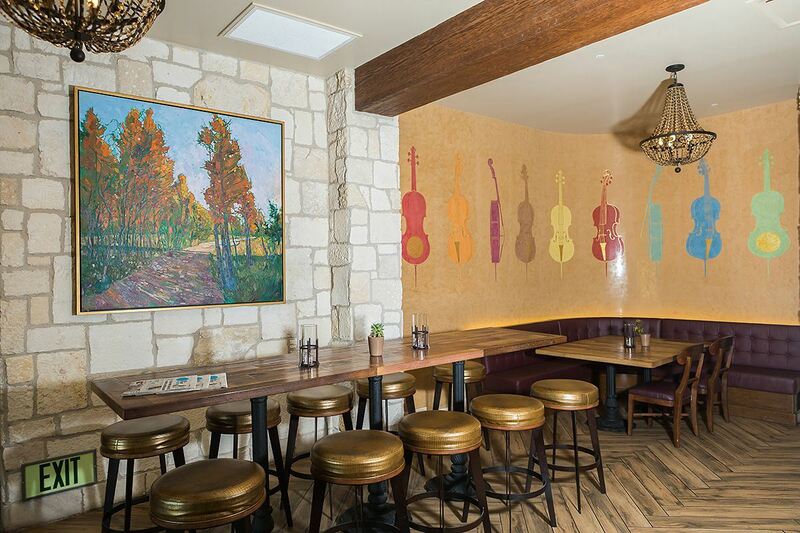 The hotel's vast collection of works by artists from near and far are juxtaposed by vintage furniture, slices of the natural world, and locally curated details. 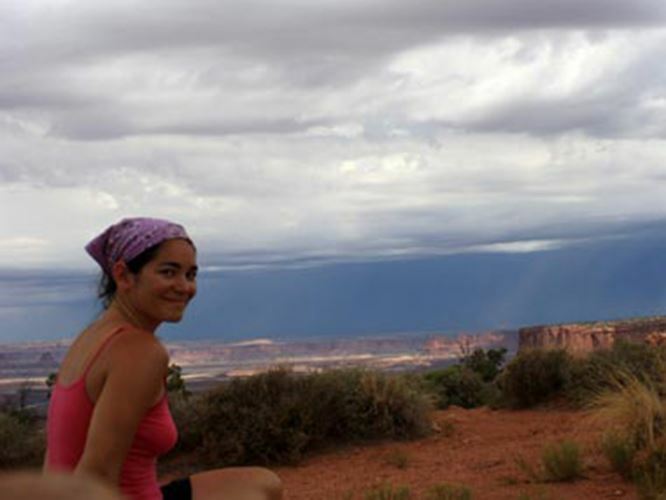 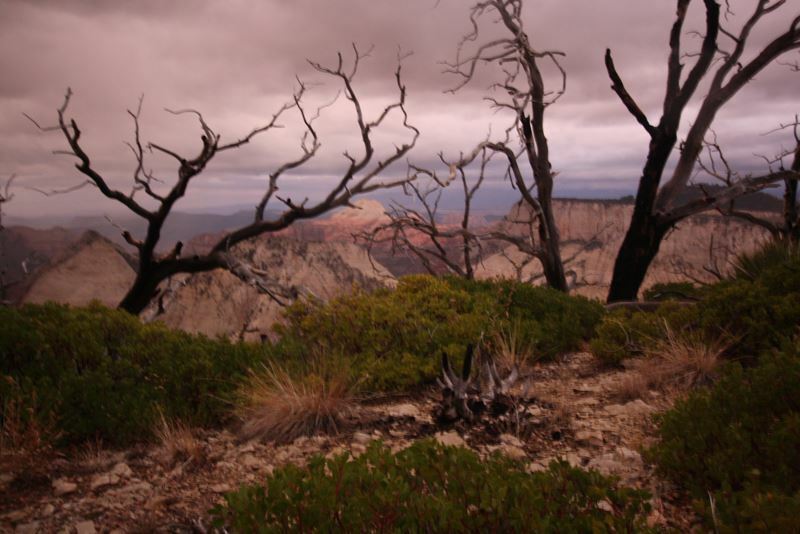 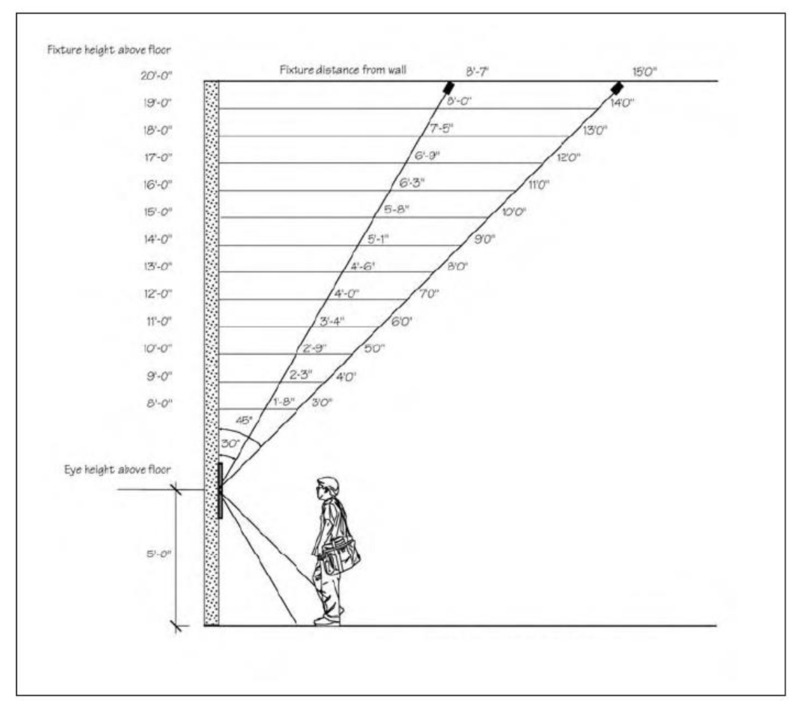 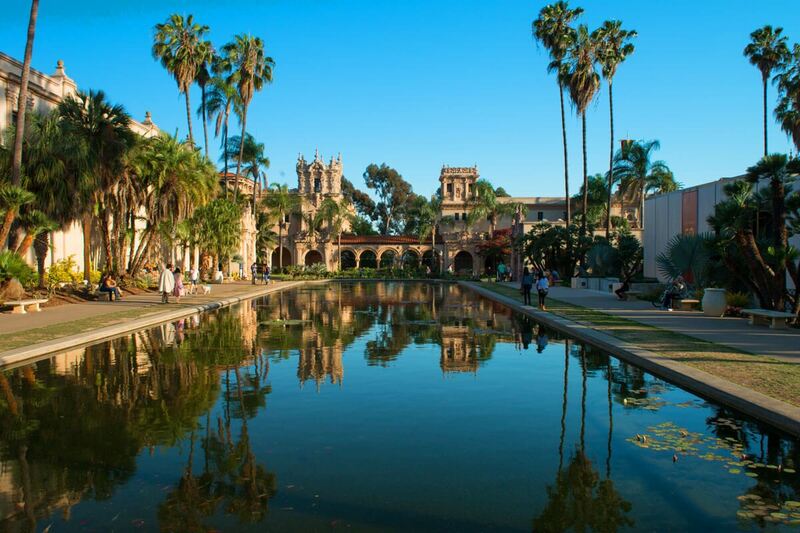 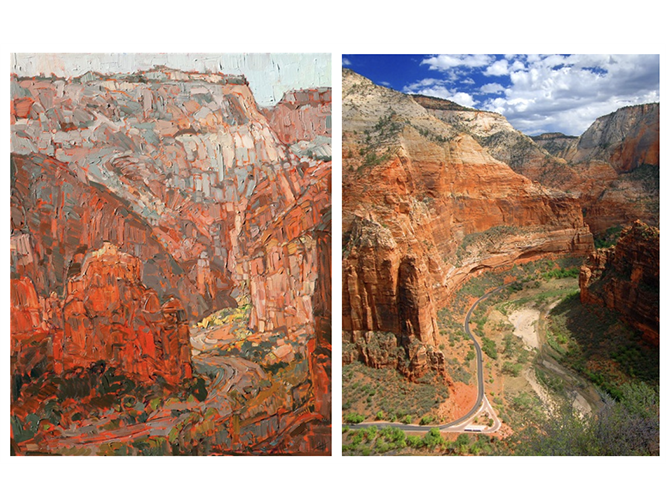 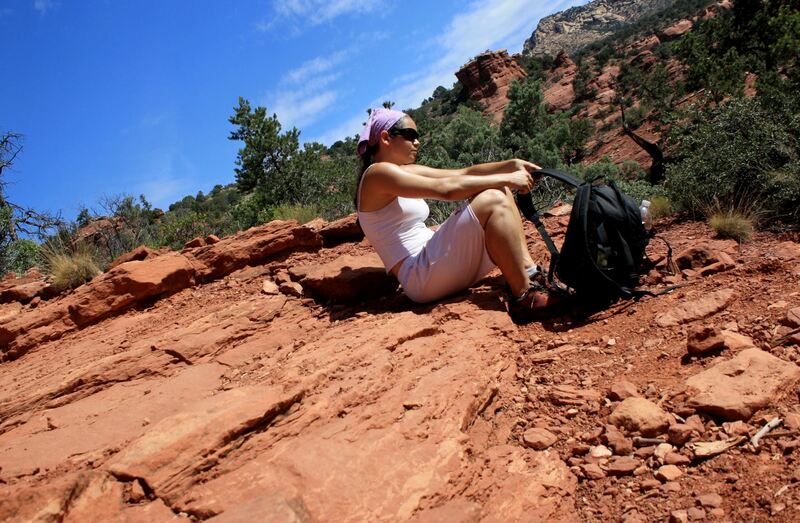 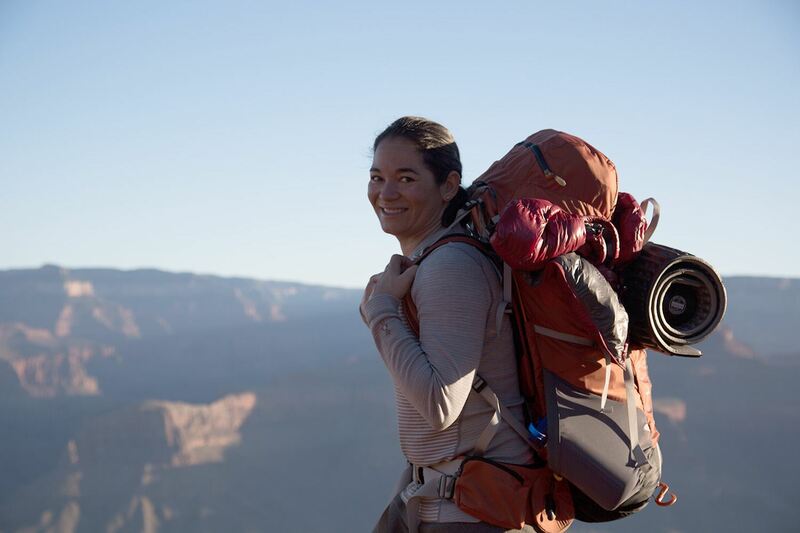 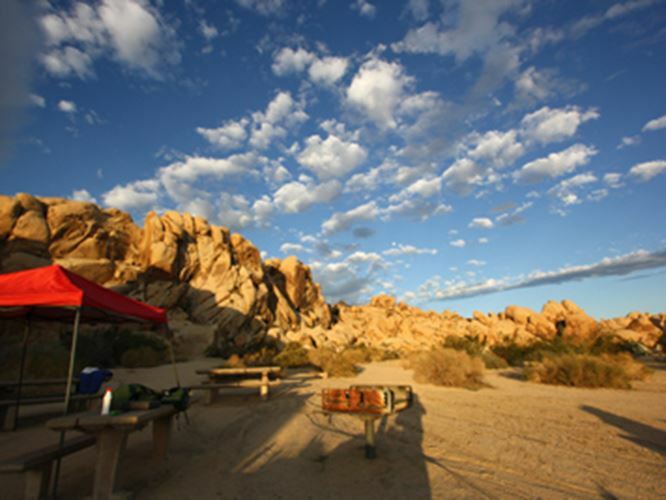 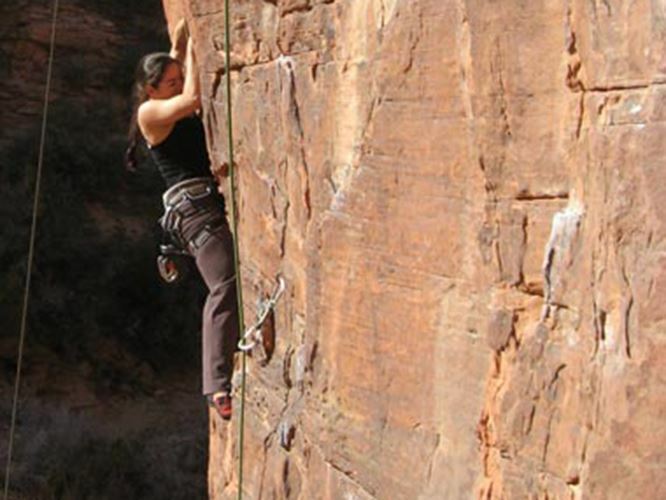 Erin tells her adventures through the Grand Canyon, Big Bend National Park, and Torrey Pines. 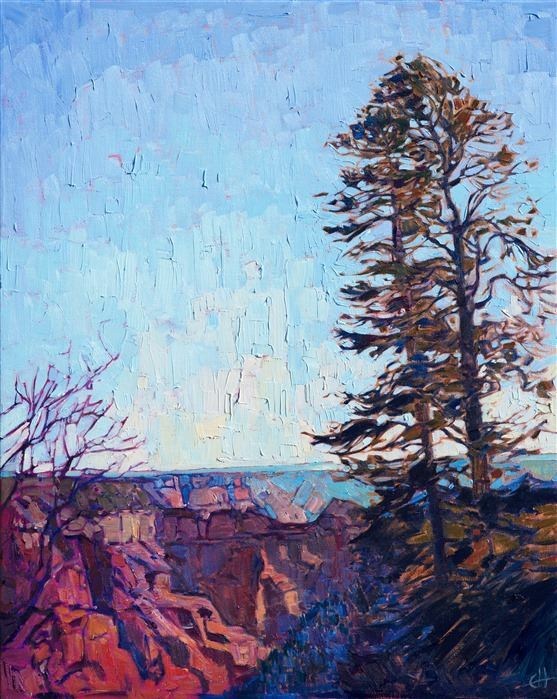 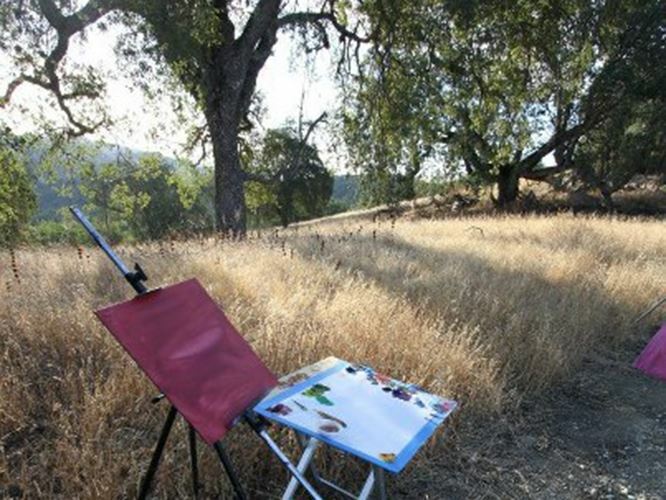 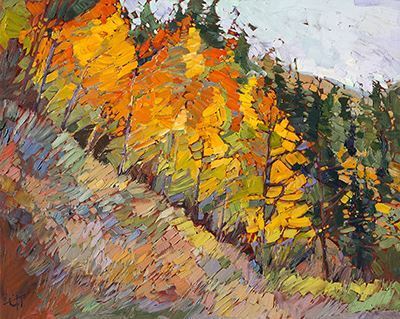 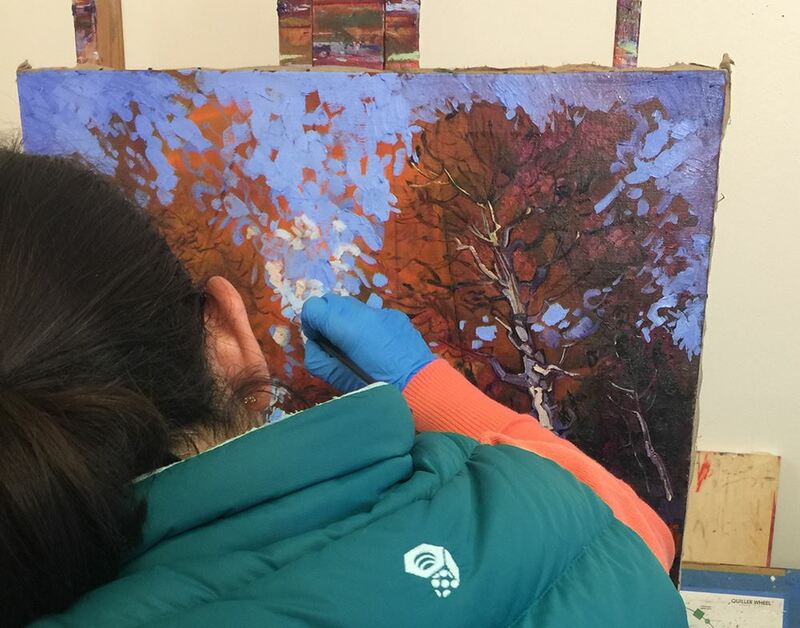 Follow in the artist's footsteps as she explores landscapes near and far to uncover natural beauty and inspiration for her paintings. 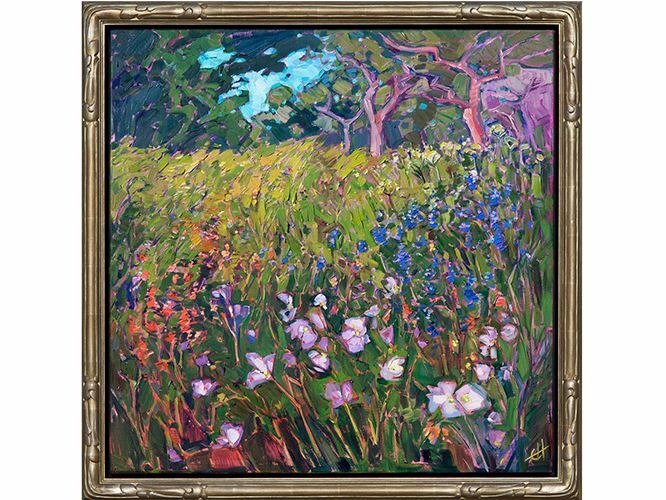 While artists flocked to France to learn or develop the latest Post-Impressionist style, the love for pure Impressionism never died. 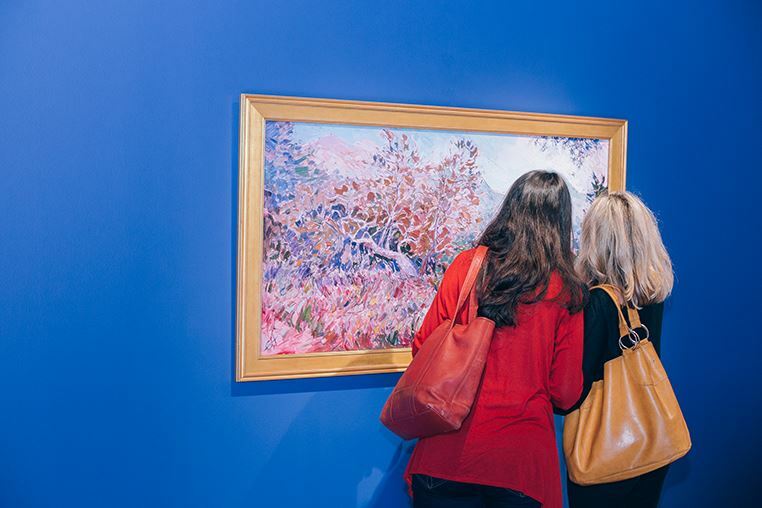 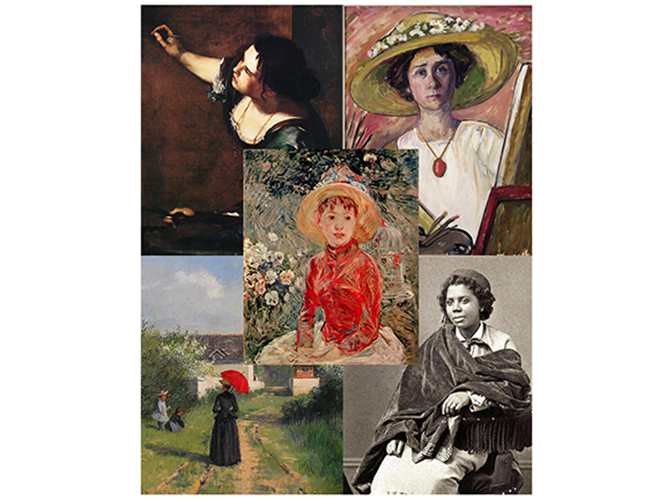 In fact, Impressionism spread around the world, heralding the beginning of modern art.